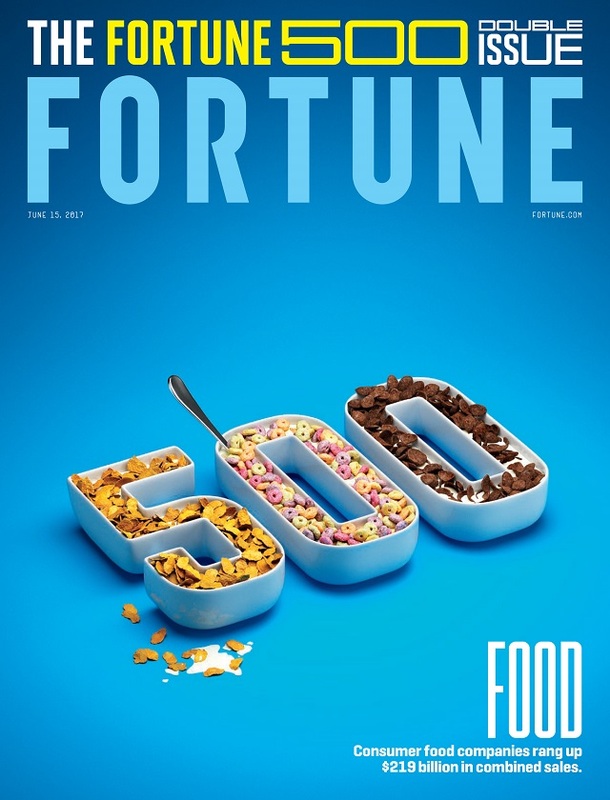 In addition to the front-cover image, there are four alternate designs printed on stock paper adorning the inside pages of this year’s “Fortune 500” issue. 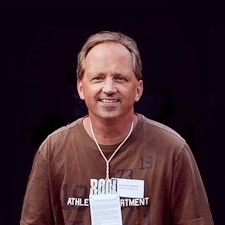 The magazine’s creative director Paul Martinez says his personal favorite is the one highlighting Food companies. Martinez also explains that the color blue was chosen as the background for all covers because it “pops” on the newsstand. Check out the rest of the covers–the front and ones done for Energy, Airlines and Homebuilders–here. Australian design firm Forge & Morrow’s tagline is “Fabricators of Fine Imagery.” They certainly lived up to that motto here, working with Martinez and Fortune art director Josue Evilla. A couple of interesting side notes. A pair of U.S. universities, Texas A&M and the University of Michigan, are tied this year for most “Fortune 500” alumni CEOs, with four each. And when SurveyMonkey asked consumers to rank, from among the list’s 75 largest corporations, the “Top 10 Companies Who Care the Least About Their Customers,” the leading vote-getter was Wells Fargo.